So you’ve put in the hard work, and now it’s time to track your progress. Tracking your site’s performance is paramount to getting results. You’ve done some work to improve the search engine optimization on your site, but you’re not sure if it’s helping. You’ve most likely installed some Shopify SEO apps onto your site and you’re also not really sure if they are doing anything. We’re going to teach you how to calculate if what you’re doing is actually having a positive impact. You’ll also discover how to find your SEO weak points so that you can improve your site. In this video, we’ll discuss what Google Search Console is and how it can help you keep an eye on indexing and errors. Lastly, we’ll discuss how you can you track your site’s performance using Google Analytics to drive results. Improving your SEO can have a huge affect on your overall ranking and visibility on the internet. By improving your SEO, you can also increase your chances of being discovered by potential customers and subsequently increase your traffic and sales. We’ll help you get started on implementing concrete strategies for measuring your efforts. The most important way to measure your efforts is by utilizing Google Search Console. If you’re eagerly trying to improve the SEO on your website, Google Search Console is extremely useful. Every Shopify store should register their site on Google Search Console. Why? Google Search Console is a DIY service in which you enter your website’s info and they’ll show you reports based on the analytics they’ve gathered. It’s an important resource for checking up on your site to see how things are going and it takes the guess work out of monitoring your site. Basically Google Search Console is a free service available for all website owners so they can monitor how Google indexes their website. When Google “crawls” your website, they are trying to understand what your website is all about by looking over all of your content. Google will then store your site’s information which is called “indexing.” Google Search Console enables you to check the indexing status of your site on an on-going basis. Basically, has Google crawled and indexed your website yet? And if so, did they manage to crawl all of your pages successfully? You’ll want to keep a close eye on your Google Search Console to make sure you don’t have anything wrong with your website. Google will notify you about any errors or violations that they see. The most common types of crawl issues are: a DNS issue, a server issue, URL errors, and Googlebots unable to access your robots.txt file. Why are crawl issues so important to fix right away? If Google can’t access your site, they won’t be able to suggest you in search results. Luckily for you, they also offer different types of testing tools that can help you diagnose your website and find a solution. Google also has a Google Search Console Forum where you can ask a question and get help from others who might have been in a similar situation. Best of all, Google Search Console offers tools to help you optimize your visibility on search engines. They offer web tools such as: Google My Business, Google Merchant, PageSpeed Insights, Custom Search, Google Domains, Webmaster Academy, Google AdWords, and Google Analytics. Lastly, you can use Google Search Console to understand how they rank your website. Google makes information about your website completely accessible and this is a good thing. Ranking is no longer a mystery, but something you can actually understand using quantitative data. 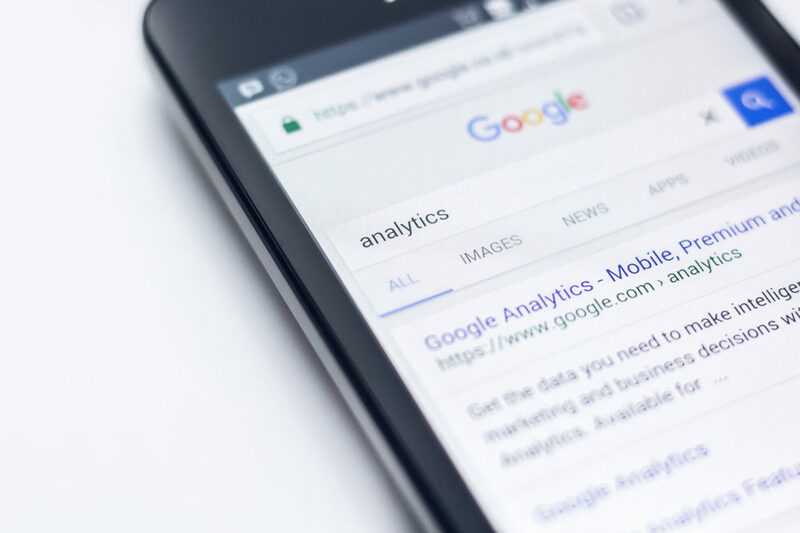 Google offers another tool called Google Analytics which tells you every detail about how your site is performing right at your fingertips. Here you’ll find real statistics and facts about your website. Google Analytics allows you to analyze data about your entire site so you can have a better understanding of your customers experience. By tracking the behavior of your website, you’ll be able to make more effective decisions based on the data you see. Google Analytics is great for understanding your audience as well as acquiring new customers. For example, are the people visiting your website new customers or returning customers? Is your traffic coming from social media, an affiliate partner, or organic search results? These are all great questions that can be answered by analyzing your data on this tool. Basically, the entire purpose of Google Analytics is to understand how your site is performing so that you can drive results. By understanding how your users access your site, you’ll be able to create a marketing campaign and targeted advertisements. The idea is to apply what you’ve learned about your audience and their behavior in order to better serve them. Are your customers new or returning visitors? How many users access your online store using a mobile device? How can you optimize your online store so that people spend more time shopping? How can you improve your navigation so that people circulate around your store? How can you improve your product pages so that people purchase more items? What is your #1 source of website traffic? What is your average session duration? What is the bounce rate on your homepage? You’ll want to know what types of customers are visiting your site so you tweak your website accordingly. What types of improvements can you make to better serve them? On the audience overview you can see a breakdown of who your audience is. This includes demographics such as age and gender as well as location and language. Other customer insights include Google session duration as well as the bounce rate. “Site traffic” is the people who are visiting your site. “Traffic sources” are where these visitors are coming from. Basically, how are these people arriving at your online store? There are three different types of website traffic that you need to learn about. Your job is to know how much your website gets from each type of traffic source. Organic Search – When you search for something on Google, you’ll get a bunch of search results. These results have been chosen by Google in order of their relevance to the term or phrase being queried. If you’re website is popping up for a keyword or phrase that you rank for, this is terrific! It’s important to know your traffic source because you’ll want to make improvements based on the information you see about your website. Do you have a low amount of organic search traffic? If so, you’ll want to improve your SEO in order to show up more in search results. Make sure to pay attention to spikes and dips in traffic. The best part about Google Analytics is it’s completely free for small and medium sized businesses. It also works together with AdWords and AdSense which is great if you’re trying to run advertisements to acquire new customers. 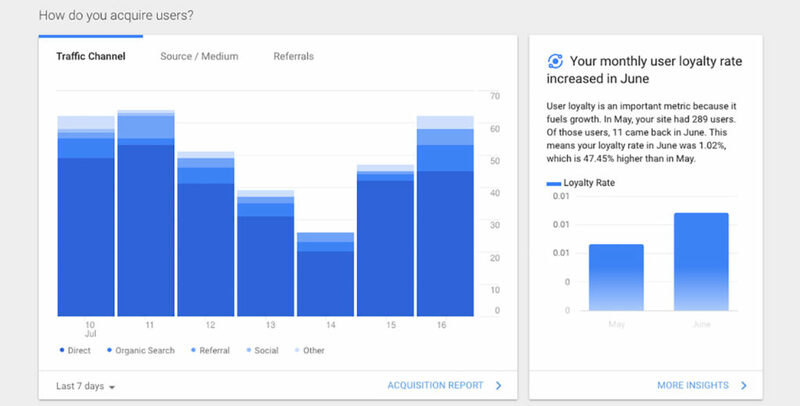 Google Analytics helps you acquire the right type of customers through something called remarketing lists. A remarketing list automatically gathers visitor information so that you can market to them again later. This is perfect for re-engaging a customer who may have visited your store but left before purchasing. Lastly, Google Analytics is optimized for e-commerce businesses which means you’re in good hands. 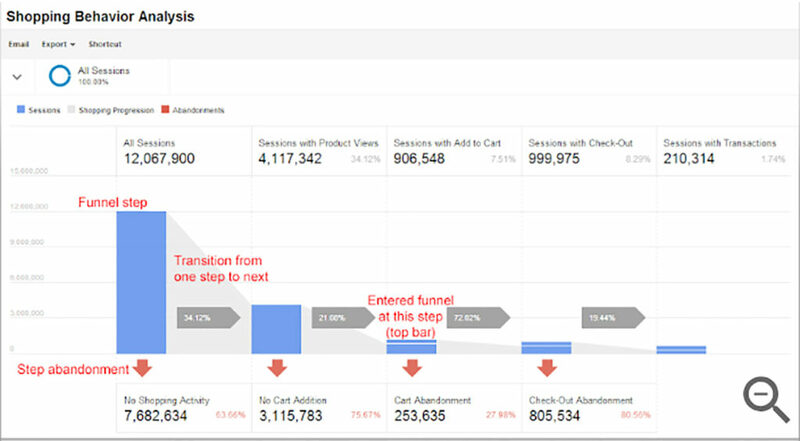 Want to know how your checkout funnel is doing? Google now offers advanced Shopping and Checkout reporting that allows you to see how well you’re doing with customer conversions. Just enable Enhanced Ecommerce for a view, and you’ll have more than a dozen e-commerce reports available to you. PRO TIP: Make sure to link up your Google Search Console with your Google Analytics account. If you link them up, you’ll be able to see Google Search Console in the Google Analytics report and vis versa. Does your Shopify store have a physical location? If so, you might want to consider signing up for a free listing on Google My Business. If someone is searching for something that matches your business, Google can choose to display your company’s information in search results. This appears as a rich card (a box with information on the right hand side of search results). It’s always a good idea to give Google as much information about your business as possible so that they can know about what you offer or sell. By understanding what kind of services or expertise you specialize in, Google can then recommend you to potential customers. 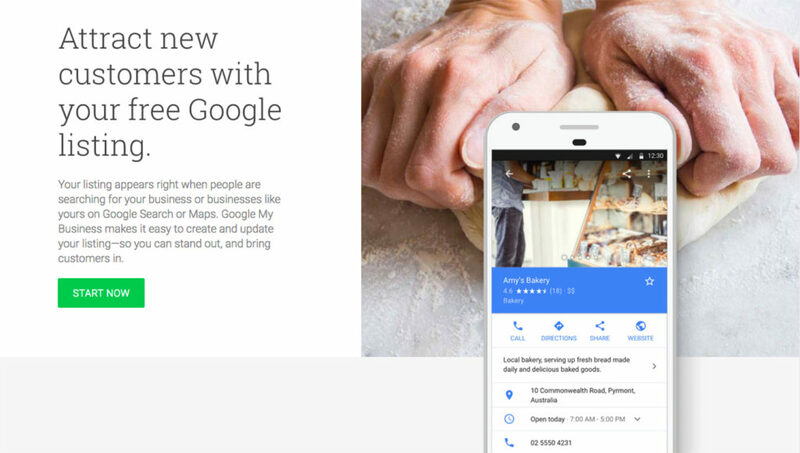 Secondly, Google can also choose to display you in a local search (on a map) which can also bring more traffic to your store. Ultimately Google My Business can help you improve your local ranking which can have a positive effect on bringing you new and repeat customers. This is a great way to get millions of people to see your entire inventory. All you have to do is sign up for Google Merchant Center (totally free) and then upload your product inventory. The benefit is that once you upload your products, all of your products can be available on Google Shopping and Youtube. Of course, it goes without saying, that you’ll want to make sure that all of the inventory you list is in-store and available. You can always edit your product information anytime to keep it updated. A key benefit is being able to reach more buyers that are shopping on the internet. The beauty of Google Merchant Center is that you’ll be able to attract new customers who aren’t shopping directly on your store. They can easily see different types of products you have to offer on Google Shopping plus Google can also choose to display your products in search results. You might be wondering how Google makes money off Google Shopping? The answer is they encourage you to create an AdWords campaign (which is paid advertising). By creating an advertisement campaign, they’ll show you more frequently in search results for keywords that you want to target.
? Did You Know Shopify SEO is a 3 Part Series?